As Dr. Young explains, you don’t change behavior by changing the person, you do it by changing the process. 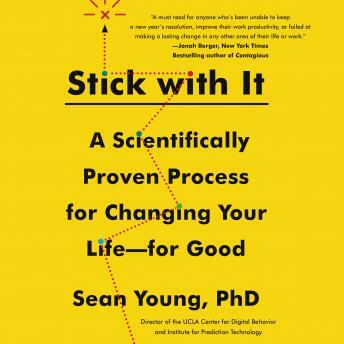 Drawing on his own scientific research and that of other leading experts in the field, he explains why change can be difficult and identifies the crucial forces that combine to make transformation permanent, from the right way to create new habits to how to harness emotional meaning to motivate change. He also helps us understand how the mind often interferes with creating lasting change and how we can outsmart it, including using 'neurohacks' to shortcut the brain’s counterproductive instincts. In addition he provides a powerful corrective to the decades old science of habits, offering a next generation discussion of how habits can change behavior with the right approach.